Since the big purge that I just can't stop yakking about, every unused item in our house has a target on it. Lately, I've been eyeing the string hopper press and steaming trays that we brought back from our November trip to Sri Lanka. This meant that it was time to use the items, or ditch them. I wanted to use them. For the first string hopper attempt, I made a dough of rice flour, water, and a pinch of salt. Since there are hardily any ingredients, the resulting dough tasted just as bland as the rice flour that we used. 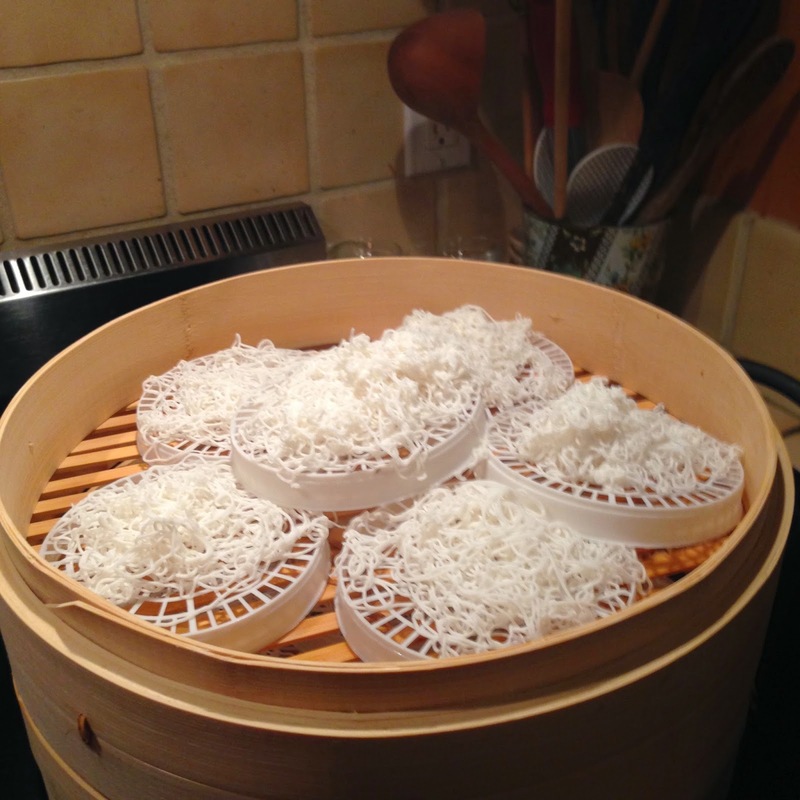 Yes, steaming hot, those string hoppers were fantastic, but I notice that neither of us have touched the leftovers, so it's time for them to go into the circular file. I was also informed that I made the dough too stiff, and unnatural noises were coming from the boy as he pressed the noodles onto the trays. For the next string hopper attempt, I want to make red rice flour. The red string hoppers were my favorite, and it seems impossible to find red rice flour here. However, I can find red rice, so I think what I'll do is make the flour myself by soaking some red rice and possibly germinating it for added nutrition and taste, drying it out, and then blending it up with my Vitamix (I love that blender so much). Sesame has finished another round of Canine Circus School, and that meant that we were going through dog treats quickly. Since I'm picky about what every creature eats in this household (although I cannot say that I have much control over the largest creature's food and drink consumption), the prepackaged treats I was buying were so expensive for how fast we were going through them. So, I actually baked for my dogs. 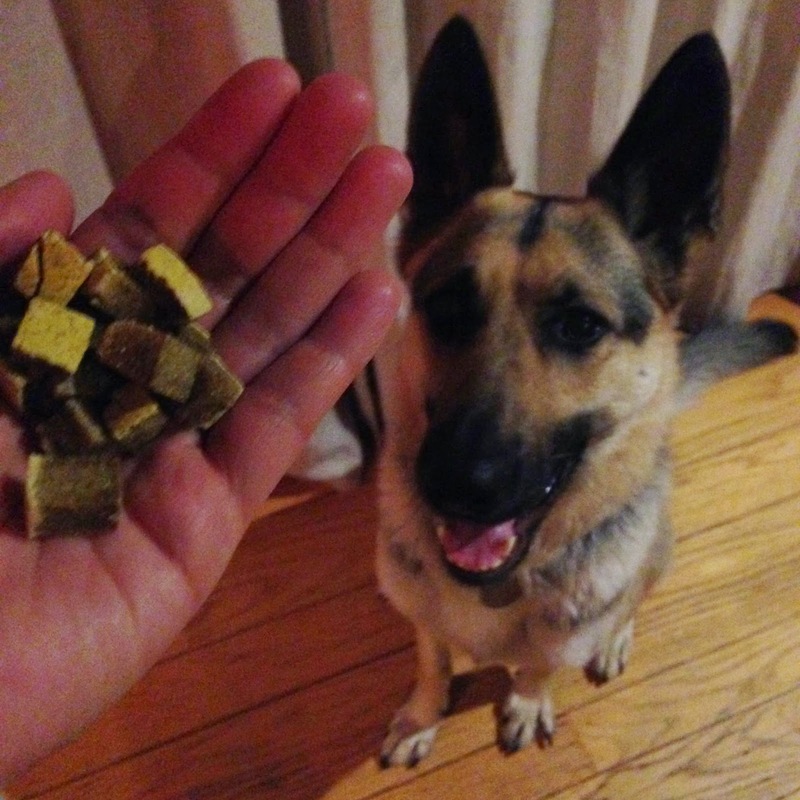 For the first treats, I used this recipe for Tuna Training Treats (scroll down), but I didn't add the Parmesan cheese because my dogs don't need to be that gourmet. They were a hit! 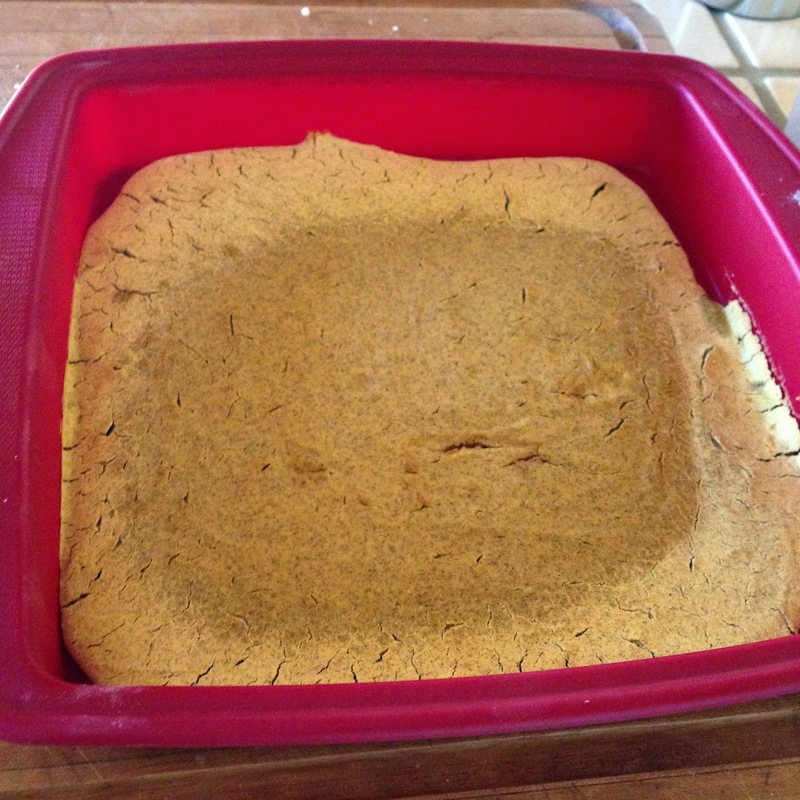 For my second recipe, I made it up, which is why it turned out really ugly. I had a ton of roasted butternut squash pulp in the freezer, so I defrosted it and blended it with eggs, peanut butter, and rice flour. I need to work on the proportions, but I'm happy to say that the dogs also liked these treats (although Greaseball thinks they are crap - he much prefers the tuna treats). The two batches of treats should last us for a few weeks, and they are much cheaper than the $11 per small bag I was paying. On a lot of the dog treats, they list brown rice flour as an ingredient, so I want to make some brown rice flour, too. Maybe April will be the rice flour experiment month. I also found some old chicken fat in the freezer, another ingredient in dog treats. 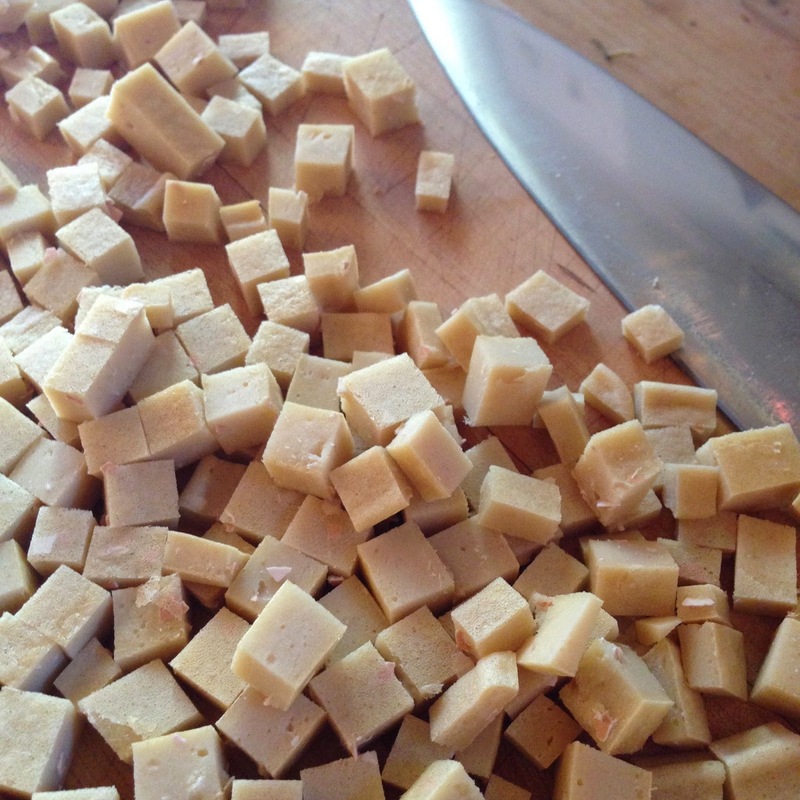 Cleaning out my freezer by making dog treats makes my frugal heart swell. For now, I've quit my CSA. I had so many melons in the summer and so many winter squashes and turnips in the fall/winter, things that I like in moderation but I cannot choke down on a daily basis. While I love the idea of a CSA, especially when I'm too slammed with work to go to the market, it wasn't working for the household. Partially because begin slammed with work means that we eat out more, so things in the refrigerator were staying there past their prime and ending up in the compost bin. I hope I can join again someday, but it's not working for us right now. Vegan cheese, or as the state of California makes you legally call it, cultured nut product, is now on my radar. I had a delicious round of smoked farmhouse cheese, and I want to make similar cheeses myself. Miyoko Schinner, the person behind Miyoko's Creamery, has a recipe book called Artisan Vegan Cheese. Fortunately, my library had a few copies available, so now my kitchen counters are littered with soaking grains and nuts. Her recipes start with rejuvelac, a liquid made from sprouted grains. 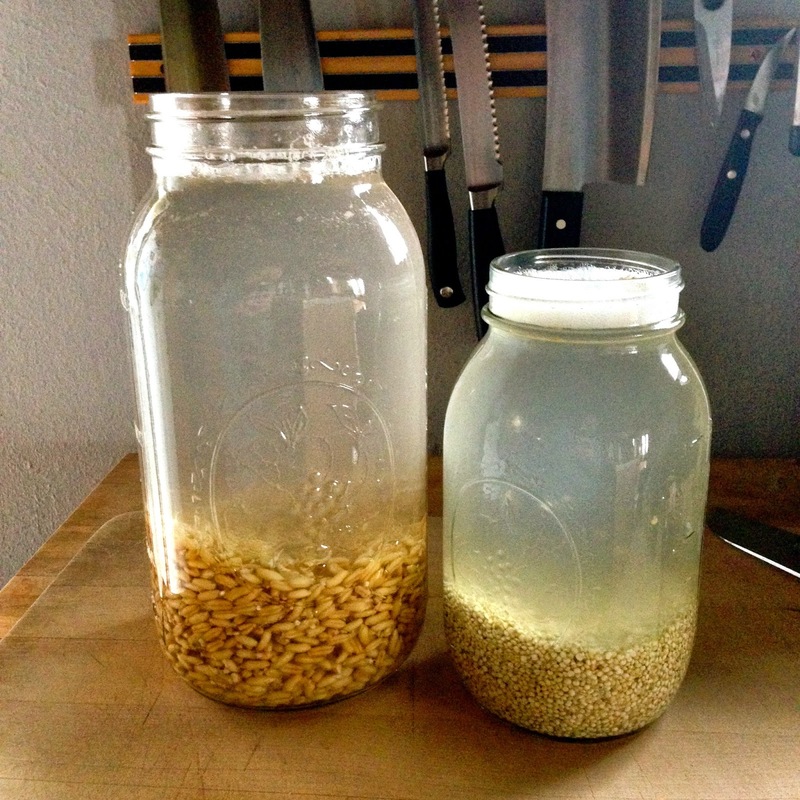 In my pantry, I had millet and kamut, so those are the two rejuvelacs fermenting on my counter. Rejuvelac is a stupid word, and when I read the wiki about it, I found that it is a tonic that was popularized/invented in the US by Ann Wigmore. The word is too hippy for me, although I'm sure it will do just fine for my cultured nut product. Sandor Katz has a section on nut cheese in The Art of Fermentation. He says to simply add some sauerkraut juice to start the culture, which sounds easier than what I'm doing since I have a vat of sauerkraut bubbling away right now. However, I read that after I started the rejuvelac, so I'll follow the recipe, for once. Instagram is quickly becoming my online time waster of choice, so if you want to see what I'm up to in real-time, click here: . There are more dog and cat photos there. Most of these pictures are recycled Instagram photos.